The long-anticipated Brighton Winter Farmers’ Market renovation project is about to begin! This Friday, January 18, the Town is hosting a “Floor Breaking” ceremony to launch Phase 1 of the project, which will involve renovating a Town-owned barn to be the permanent home of the Brighton Winter Farmers’ Market. 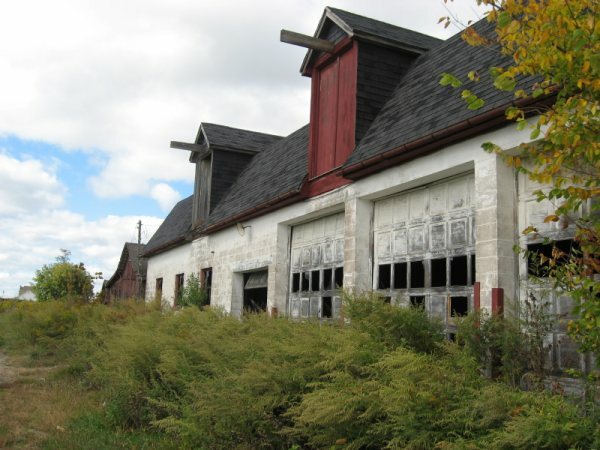 Please join Supervisor Moehle, Town Board members, and other dignitaries at 9 AM at the Winter Market barn on Westfall Road, when they will break up the barn’s old floor to start the project. Please park in the main Buckland Park parking lot (1341 Westfall Road) and ride the shuttle to the ceremony. The shuttle begins at 8:30 AM at the park concession building. Please dress for warmth! This week Bolton Farms will have lettuce bouquets, spring mix, arugula, bok choi, micro greens, cilantro, and butternut and grey kabocha squash. Andy’s Specialty Produce is bringing certified organic carrots, spinach, sweet potatoes, green kale, yellow onions, red beets, green cabbage, napa cabbage, red and yellow potatoes, and sunflower and pea shoots. Stonecrop Farm is bringing fresh pasture-raised pork chops, shoulder roasts, spare ribs, tenderloin, sausage, ground pork, smoked bacon, sliced deli ham, ham hocks, trotters, organ meats, and fat, as well as certified organic eggs. Fisher Hill Farm is bringing kale, Asian greens from the high tunnel, kohlrabi, celeriac, beets, sweet potatoes, onions, shallots, potatoes, parsnips, carrots, butternut and spaghetti squash, cabbage, eggs, frozen chicken, turkey, stewing hens, and Red Jacket cider and juices. Shannon Brook Farm will have organically-processed grass-fed lamb sausages, shanks, shoulders, and leg roasts and two kinds of chops; certified organic whole and half broiler chickens (try this recipe); certified organic whole ducks; pasture-raised, heritage breed, organically-processed pork cuts, sausage, and leaf lard; and certified organic chicken eggs. Clearview Farm is bringing carnival and green acorn winter squash, pie pumpkins, dried Tulsi (holy) basil, dill, truly free-range eggs, buckwheat, organically-fed 100% grass-grown Black Angus beef (including steaks, roasts, ground beef, and assorted cuts), and Genesee Valley black and cannellini dry beans. Newbury Park Pastries is bringing chicken, veggie, shepherds, panang, and lobster mac and cheese pot pies along with raspberry rugelach, biscotti, and cut out cookies. Tripleberry Farm will have lots of traditional and reduced sugar peach jams and pesticide-free berry jams and moisturizing goat milk soaps. Lavender Moon is bringing soaps, salves, lotions, teas, culinary blends, and flavored hot cocoa. Brian’s Kitchen will have traditional and gluten-free/vegan cookies, granola bars, and chocolate fudge.